If you don’t remember Mathew Sinclair, then type “Best catches in Cricket history” on Youtube and one relatively pixelated New Zealand-Australia video will pop up, of a well-built bloke making a full stretch near the boundary to remove Matthew Hayden in Melbourne. Entire Docklands came to a standstill when Sinclair rose with a triumphant point to the crowd - "What the hell do you think of that?" For a cricketer brought up in Napier, and known for his cool demeanour, it was unseen, unusual aggression. Docklands couldn’t fathom that immediately before Sinclair turned towards his teammates and flashed his usual beaming smile. It has been 16 years to that moment and naturally, a lot has changed since. He's retired from cricket for a good six years and has already seen some of the toughest days of his life. When I sat down with him to talk cricket, life and beyond, one thing evident was that he hadn't lost any gratitude for the sport. 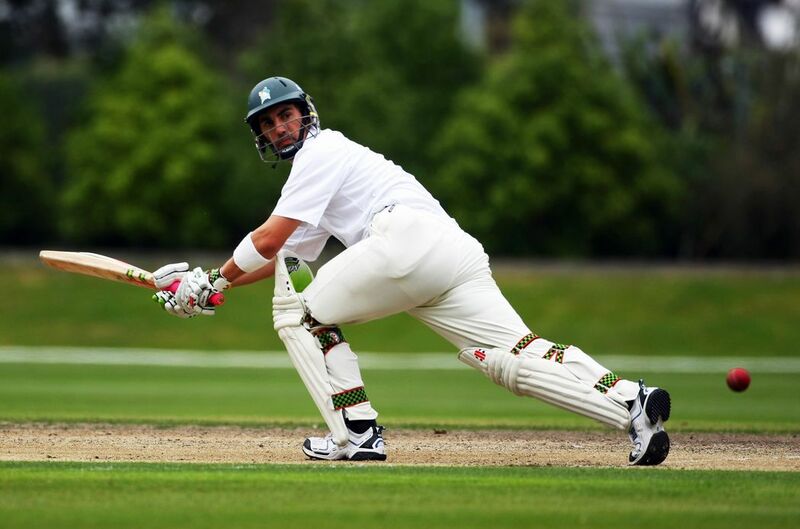 From hitting that double century on debut, to doing an encore of it the following summer against Pakistan, or to be out of the team every now and then, to making a comeback to the team after scoring tons of runs in the domestic cricket, Sinclair’s cricketing career was an oscillation between staggering highs and ridiculous lows. “My Test career had a lot of ebbs and flows, but my first-class career was very very good, second to none. I guess for me, the jump from domestic cricket to international cricket was quite a big one. And also, my expectation of going to the field and do what I had done on my debut might have affected me mentally,” Sinclair told SportsCafe during his visit to Bengaluru. To gauge the significance of the innings that Sinclair touched upon, one needs to go back to the 1999 Boxing Day Test against West Indies when he came out to bat at No. 3 after current Black Caps coach Gary Stead’s dismissal. His mature 214 off 447, while battling the hostile troika of Courtney Walsh, Reon King, and Franklyn Rose, not only rescued his team but also helped him announce his arrival at the top level. However, he wasn't the first-choice to be in the starting eleven. “I wasn’t actually selected for the Windies series. It was actually by luck, more than anything as Matt Horne injured his finger in the previous Test. They needed a batsman to fill that position and I was in pretty good form, scoring a lot of runs in the domestic cricket and had a game against West Indies A before the series as well. Everything fell in place nicely. “I got a call from Stephen Fleming about my debut, and I was like ‘Wow. What an amazing opportunity’. Then I flew down to Wellington to be presented my Black cap by Fleming. That was a surreal moment." For all the grandness he could achieve through his spectacular debut, Sinclair couldn't sustain the same consistency throughout his career, and once he was done with the sport, he struggled to make ends meet in life. As true as it is that New Zealand's cricketers are among the most loved in the sport, the sport itself is only a summer sport in the country. After hanging up his boots in July 2013, Sinclair needed a full-time job to survive and his job as a sales assistant in Napier didn't work out well for him. “It was a very tough decision to look at any opportunities outside the world of cricket because cricket has been my life ever since I was 17 till I retired when I was 37. I didn’t do anything other than playing cricket and always focused on being the best player and best person that I could be. I discussed with my friends and family and also with the players’ association, but at the end of the day, cricket can’t be with you forever. At some point, I realised that the game that I loved so much all my life is not the only thing,” Sinclair said. Such was Sinclair's desperation that he had gone on a public forum to draw the attention of all prospective employers in the country. The phone, however, never rang. This, in fact, caused him more pain than being in and out of the national side had ever done. Alongside, his family life had taken a nosedive and he had found himself dealing with depression. The lack of job experience meant he was unsure about what he could do. After all, he had only known cricket all his life. The failure as a sales assistant had taught him a lot of lessons though and when he got a chance in a real estate agent Harcourts in Hawkes Bay, he instantly decided to throw his hat into the ring. “That was pretty tough financially. When you are in cricket, everything is done for you. However, when you are outside of cricket, nothing is being done for you. You are paid to play cricket. You don’t need to do anything else. But post-retirement life was difficult. It was not easy working through those days. In New Zealand, we do have a social working system which helps, but there is a flip side to it as well as you can see in my case. “If you are playing for Karnataka or RCB, they do look after you right until the very end. That doesn’t happen in New Zealand. Playing cricket is a job, but once you retire, you have to do what you got to do. And the opportunity in New Zealand is not as much as it is in India. It is population-based. Sinclair though holds no regrets and has instead made peace with his life. And what better way than earn his livelihood through coaching young kids in Hawkes Bay and conducting a few camps in Bangalore and Pune. All that while also giving back to the sport that made him what he went on to be. “For me, cricket coaching is giving back to the sport. I am loving to do it in winter. I will come back again in summer. I have never played in India although I always wanted to play in India. It [coaching] gave me an opportunity to travel the world, and earn my living. I hope I can teach them enough to at least be a better individual." For someone who scoured for a living everywhere, little did he know that he will find it again at the only place he'd ever known - cricket. And amid all this frustration and spurts of aggression, he has always managed to come out of it with a smile. Just like he had in Docklands 16 years ago.